WordPress is a place where you can have all your contents posted and you can use it as your company blog page as well. However, did you know how useful this WordPress is for the development of your website? It helps your business site in so many ways, so if you build the same with WordPress there will be more traffic than ever. 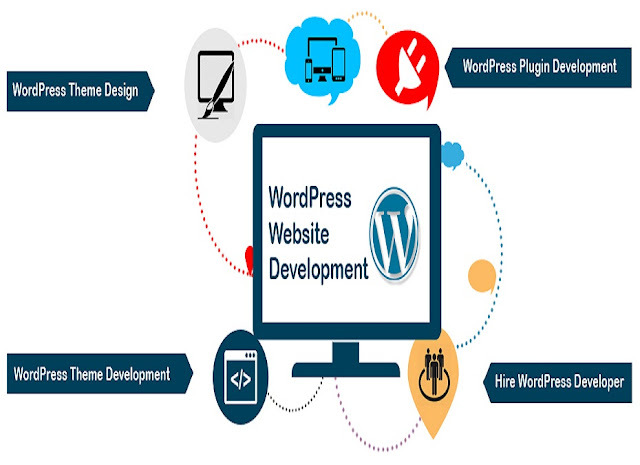 As you know that WordPress is a very well-known provider of CMS and an obvious blogging platform, 24% of the business sites use WordPress for its convenient features. In this case, you might question why use this one as the only CMS? The question is really simple because WordPress is easy to use and it helps in the WordPress website development and all in all users like it for the same reason. If you are confused about this matter here we have listed the best reasons for your convenience. You can use your WordPress site from anywhere there is an internet connection. If you are thinking that only your business computer can operate the site, you must know that you can have the same access from your mobile as well. If you are looking for the speed of your business website, met data optimization, embed forms on some pages, or you want your user to sign up with the monthly newsletter of your site, all can be done with WordPressplugins. These very things help in enhancing the experience of the website and update it at the same time. The code of WordPress is very simple and easy to grasp as there are contents with the simple format, meta tag keywords, title, body, description and so on. If you are looking for the keywords for optimization, you can do it from here. Thus, it’s highly preferred by search engines. You can control your site all by yourself and can add things in its design as well. You can avoid going to the web developers for this very task, and can enhance the website as you want. In WordPress, your website is 100% customizable. You can provide any facility later on to the site and that can always deliver the best user experience. If you are noticing that other sites are using new features on their websites, you can implement the same with the WordPress site anytime you want and you don’t have to pay a dime for these changes. WordPress has so many support system attached to it. You will get support community, help centers, numerous plugins and other, that give your website full support. Also, WordPress is very secure from any harm, as the sites get updated regularly, and you are always notified for the new updates. Make WordPress your one and only and understand the reason why people like this for their website development. Check out the above-mentioned points for the same.